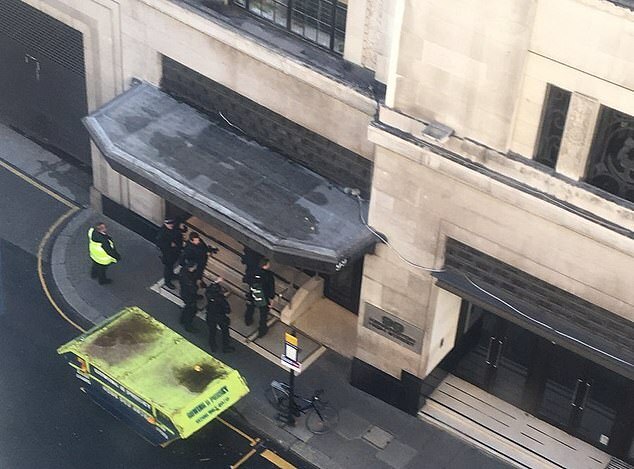 Armed police today stormed the Sony Music HQ in London after two people were stabbed by a man thought to be carrying a machete. Terrified workers heard screaming coming from the canteen on an upstairs floor of the office on Derry Street in Kensington, West London. Two people were injured and one man arrested following the incident, which police said was not terror related. The building was evacuated as a precaution.